With so much contemporary psychology preoccupied by a purely phrenological mission to map out which neural areas are active during which tasks, it’s easy to forget all those chemicals washing through our brains, each exerting its own profound influence on our feelings and behaviour. Worse still, to some, mention of neurochemicals may imply unwelcome connotations relating to Pharma companies and the ‘chemical imbalance’ model of mental illness. But these prejudices should be cast aside – there’s a generation of psychologists and psychiatrists working at the interface of neuropharmacology and psychology whose research is providing valuable new insights into mental health. Professor Shitij Kapur, the Canada Research Chair for Schizophrenia and Therapeutic Neuroscience at the University of Toronto, has used what we know about the neurochemistry of schizophrenia to formulate a psychological explanation for the illness. Schizophrenia is associated with an excess of the brain chemical dopamine, and antipsychotic drugs work by blocking this substance. Dopamine is known to be involved in motivation and reward – this is key to Kapur’s proposal that the positive symptoms of schizophrenia, particularly delusions, are caused by people finding inappropriate salience in the world around them. Consistent with this, a study by Kapur and colleagues published in 2005 compared patients’ expectations about the way medication would help them, with how they subsequently described the drugs’ effects. Whereas the patients had said they expected the drugs to take their symptoms away, their subsequent description of the drugs’ actual effect was consistent with the drugs having helped them deal with or detach themselves from the symptoms, rather than eradicating them altogether. Kapur’s aberrant salience framework allows us to get away from an either/or approach to drug and psychological treatments for schizophrenia. Kapur explains that we all have self-correcting mechanisms and that most psychological therapy is not about the therapist casting a healing spell; rather it involves the therapist helping patients use their own coping mechanisms. In the case of schizophrenia, the antipsychotics can reduce the aberrant salience while cognitive behaviour therapy can be used to examine how the patient has come to hold their beliefs, and to help them gradually undergo a reality check. The ‘drugs provide a neurochemical milieu for a psychological resolution’, says Kapur. One psychologist who has been inspired by Professor Kapur’s framework is Dr Inez Myin-Germeys of Maastricht University. ‘Dopamine has been around a long time in psychosis research, but little attention has been focused on mechanisms – the actual psychological effect of having an excess of this neurotransmitter. Then Kapur’s theory on salience came along,’ she says. It’s been established for some time that stress, sometimes in response to small, everyday events, can play a key role in the onset of many people’s psychotic experiences. But why stress should be linked to psychosis in some people but not others has, until recently, remained unknown. Kapur’s framework suggested to Myin-Germeys that dopamine could underlie the physiological mechanism by which stress is linked to psychosis in some people but not others. However, the trouble with investigating this idea is that most patients with schizophrenia are on antipsychotic medication that would interfere with any dopamine measures. To get around this, Myin-Germeys has studied the first-degree relatives of people with psychosis. These relatives are medication free but are known to have a higher than usual incidence of subtle psychosis-like experiences. Myin-Germeys and her colleagues invited 50 first-degree relatives of people with psychosis and 50 controls to the lab to measure their dopamine reactivity. The researchers gave the participants an intravenous infusion of a glucose-like substance that made them feel sweaty and shaky (a physical stressor), and they measured what effect this had on their dopamine levels. The plan was to see whether this characteristic – participants’ dopamine reactivity – would be related to whether everyday stresses appeared to trigger psychotic-like experiences in them. So 10 times a day for six days, whenever a special wrist-watch they were wearing beeped, the participants recorded any stresses and psychotic-like experiences they had (for example, seeing things that others couldn’t see, or feeling afraid of losing control) and these records were then compared with their dopamine reactivity. Another chemical that researchers are putting under the psychological magnifying glass is the stress hormone cortisol. In response to perceived stressors in the environment, a series of chemical signals originating in the brain causes the release of cortisol from the adrenal gland into the bloodstream. Once released, cortisol has a wide range of effects on the body and circulates back to influence the brain. Studies in the past have tended to average cortisol readings over several days, but last year Dr Emma Adam at Northwestern University and colleagues looked closely at how older people’s daily experiences affected their cortisol levels on a day-by-day basis, and how in turn these cortisol fluctuations affected the way they felt. By linking people’s feelings and daily experiences with their biology, the research has clear echoes of Kapur’s and Myin-Germeys’ work with dopamine. Supporting this idea, Adam and colleagues found that participants who felt more sad, lonely or overwhelmed at the end of one day had a larger ‘cortisol response to awakening’ the next morning. ‘We’re arguing that the function of this is to give you an additional burst of energy that gets you out of the door to engage with others and have a better day the next day’, says Adam. The day-by-day design of the study meant the researchers were able to show that this high-cortisol response in the morning was linked to the person’s feelings the previous evening, rather than it being a pervasive, genetically-determined characteristic of the individual. Indeed, if the day after feeling lonely was a better day, the researchers found participants’ early morning cortisol boost dropped back to a lower level the following morning. Adam’s explanation for the functional role of the early morning cortisol boost was further supported by the finding that participants who had low cortisol levels in the morning reported having lower energy/greater fatigue throughout that same day. How easy is it for psychologists to measure levels of neurochemicals? 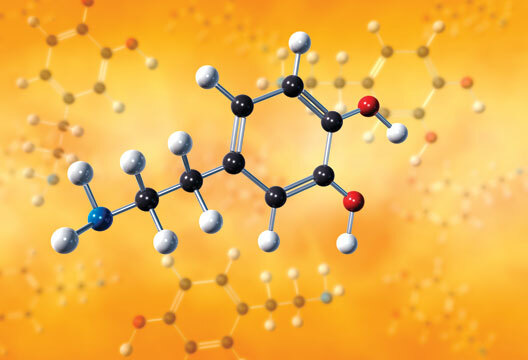 One of the reasons Dr Myin-Germeys and colleagues measured dopamine reactivity in the lab, before participants went away and recorded their daily experiences, is because dopamine is so difficult to measure. In fact they actually measured a dopamine metabolite called plasma homovanillic acid, which can be used as an indicator of central dopamine activity. ‘In the future I want to use better measures of dopamine reactivity, for example using PET (positron emission tomography) brain scanning, and compare this with participants’ daily life experiences,’ says Myin-Germeys. Professor Kapur says he plans to give healthy participants pro-dopamine drugs like amphetamine or anti-dopamine drugs like haloperidol and see how participants’ motivation and learning changes, and how this relates to changes in the brain using neuroimaging. Cortisol levels can be measured in small samples of saliva, so this is obviously much easier than working with dopamine. However, there are other difficulties. Emma Adam explains: ‘The biggest concern in relation to cortisol research is its strong diurnal rhythm – time of sampling has a huge impact on the level of cortisol that you see.’ In fact, 60 to 70 per cent of the variation in cortisol is due to the time of day, and how cortisol changes across the day is of interest in research, so it’s crucial researchers take time of day into account in their analysis. Because the measure 30 minutes after waking is so important, it’s also vital that participants collect their saliva at the time they are asked. ‘We use an electronic monitor, also used in pill trials, which registers the exact time that participants open a small bottle to retrieve the supplies they need for sampling,’ says Adam. Oxytocin might also be involved in mind-reading. In a study published just this year, Heinrichs and colleagues found oxytocin helped improve the ability of 30 men to read emotions conveyed in other people’s eyes. - Dr Christian Jarrett is staff journalist on The Psychologist, and Editor of the Society’s free Research Digest service – see www.researchdigest.org.uk/blog. Adam, E.K., Hawkley, L.C., Kudielka, B.M. & Cacioppo, J.T. (2006). Day-to-day dynamics of experience-cortisol associations in a population-based sample of older adults. Proceedings of the National Academy of Sciences, 103, 17058–17063. Kapur, S. (2004). How antipsychotics become anti-‘psychotic’ – From dopamine to salience to psychosis. Trends in Pharmacological Sciences, 25, 402–406. Kosfeld, M., Heinrichs, M., Zak, P.J., Fischbacher, U. & Fehr, E. (2005). Oxytocin increases trust in humans. Nature, 435, 673–676. Mizrahi, R., Bagby, M., Zipursky, R.B. & Kapur, S. (2005). How antipsychotics work: The patients’ perspective. Progress in Neuro-Psychopharmacology and Biological Psychiatry, 29, 859–864. Myin-Germeys, I., Marcelis, M., Krabbendam, L., Delespaul, P. & van Os, J. (2005). Subtle fluctuations in psychotic phenomena as functional states of abnormal dopamine reactivity in individuals at risk. Biological Psychiatry, 58, 105–110.